The Wonderful Wishes Floral Cake is set to celebrate their birthday with sweet sentiments blooming with chrysanthemums and carnations. 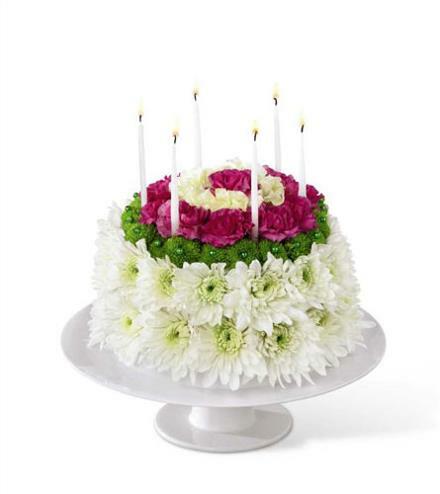 Perfectly arranged in the shape and styling of a colorful birthday cake are white chrysanthemums, button poms, carnations and mini carnations. Presented on a white cake plate (if available), this memorable flower arrangment will add to the festivities of their special day. Birthday Flowers For Mom - Wonderful Wishes Floral Cake.